The owner of Driven Athletics, Mike Marcinek, knows how to run a successful business. After founding and growing NEPA Fit Club, Mike turned his sight to Driven Athletics. A company focused on the training and conditioning of athletes, Matt wanted a site that showcased the quality services his gym provides. 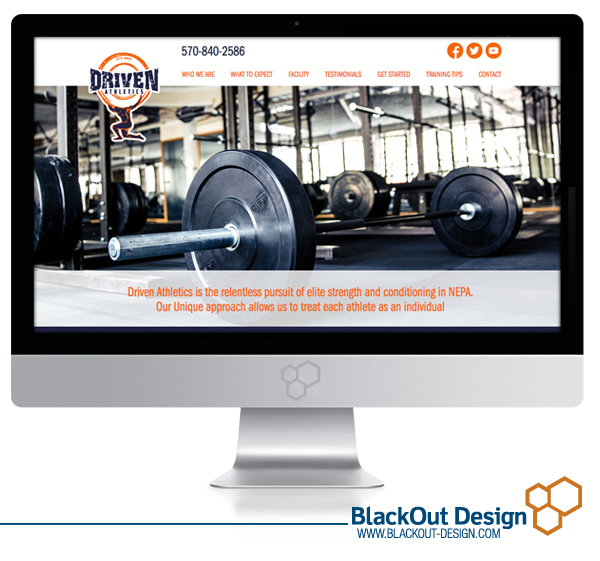 Our design sets the tone for athletes interested in training at Driven Athletics. Are you driven? Check out the site here.